House Concert Series: The Giese Girls! 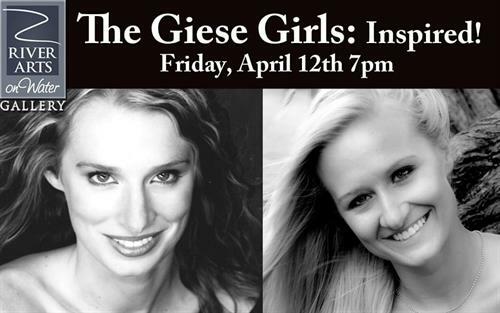 The Giese sisters (Jessica & Lindsey) are back again to perform the music of some of their favorite singers. From Audra McDonald & Sutton Foster to Sara Bareilles & Celine Dion, it will be an unforgettable evening of music. Jessica Baetz holds a Bachelor of Music degree from Butler University and a Master of Music degree from the University of Wisconsin-Madison. She enjoys performing an eclectic variety of music and has a particular interest in 20th century compositions. They will be accompanied by the lovely Dr. Kristine Bengtson. Kristine is an active recitalist, collaborative artist and teacher based in Madison, Wisconsin. She is a nationally certified member of the Music Teachers’ National Association and holds a Doctorate of Musical Arts Degree from the University of Wisconsin Madison.